Thank you for visiting WAITE POWER YOGA. 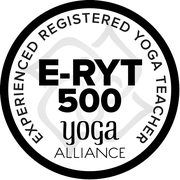 I'm excited about your interest in our retreats, workshops, private lessons and the opportunity to help contribute to your yoga practice or help you meet your health and wellness goals. Whether you are a seasoned yogi, contemplating on beginning a practice, or searching for the best way to become fit, you know the importance of feeling good about yourself, both physically and mentally. You should also be aware that eating a well balanced diet and getting plenty of rest are equally important behaviours that you must practice to reach and maintain maximum health and well being. Between the natural flow and the challenging moments, Iain knows how to keep all levels of practitioners on their toes! Well thought-out music when it helps most. Tough envelope-pushing when you need it. Intuitive explanations and guidance for those moments when you just can't quite get it. Iain makes you love to work! Un très professeur qui s'adapte aux besoins du client et qui donne des conseils au delà du cours lui même. Superb yoga teaching and class! Iain's power flow class is one of the absolute top yoga classes I have been to. He teaches a great dynamic and challenging program that works all parts of your body inside out. I highly recommend Iain's classes for yogis. 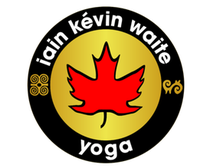 Iain classes are just great, very fitness oriented without losing the spiritual/ relaxing part of yoga. I loved his creative and challenging sequences!